Huey caught by the Police! - On camera that is! Latest News > Huey caught by the Police! - On camera that is! Huey caught by the Police! - On camera that is! 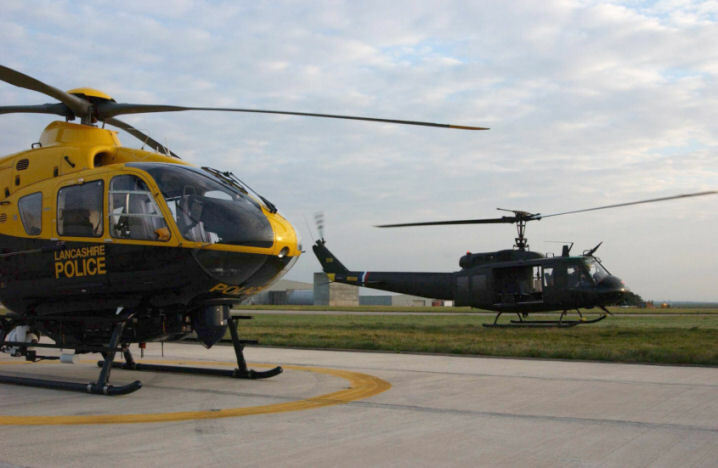 We were contacted by John Williamson and Andrew Doyle from Lancashire Constabulary Air Support Unit, who had spotted the huey from the air as they were returning to their base at Warton, Preston. 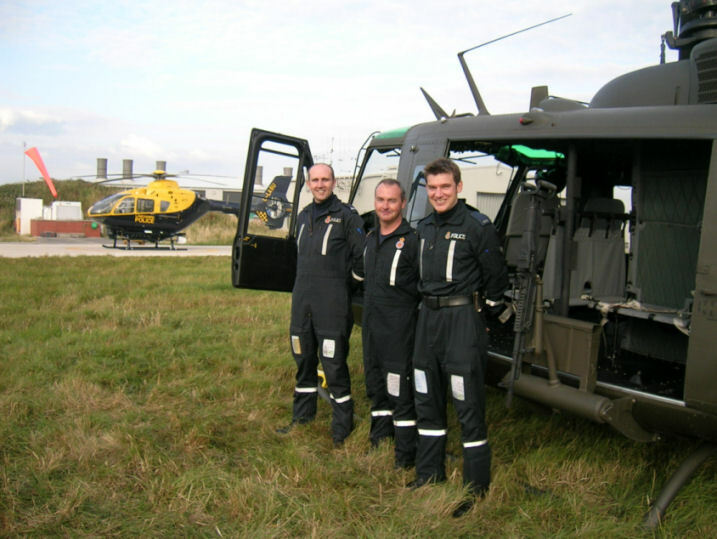 He asked if his team could call in to have a look at our machine but we had a better idea-to fly into Warton to see them. Any excuse to go flying! So we were given clearance to fly in last week and spent an hour or so with them. We showed them ours and they showed us theirs! Helicopters I mean! The guys were very impressed with the huey and we were equally impressed by their machine. 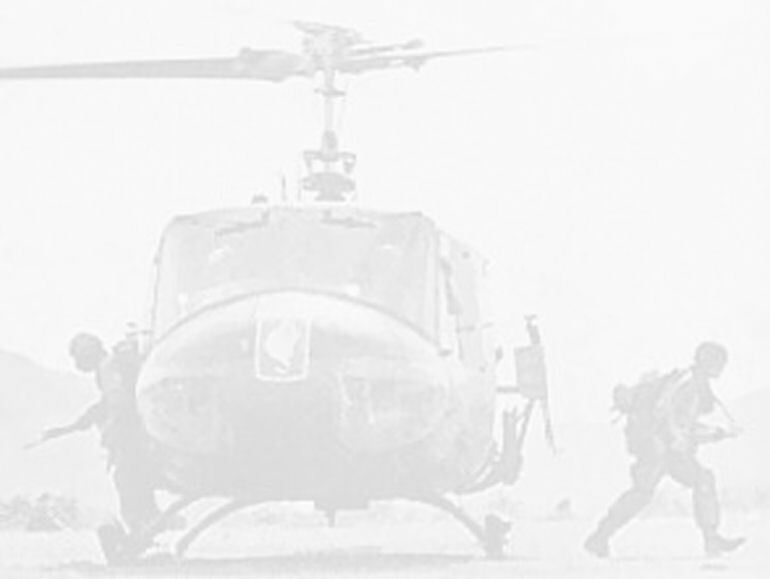 You can read Andrews comments about the huey in the guestbook.